Paris has Notre Dame, Florence the Santa Maria Del Fiore and Bacelona the Sagrada Familia. But for me the most beautiful cathedral in the world isn’t a building at all. 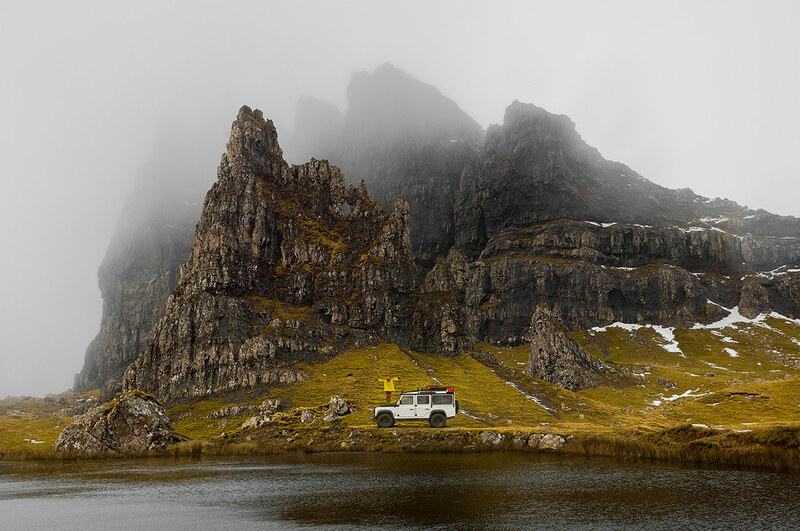 It’s these mountains on the Isle of Skye in Scotland. There’s something about this ancient foggy land that pulls me in like gravity and makes me feel closer to spirit than I ever do in a church, no matter how stunning the architecture. There are over 6,500 languages in the world, and I don’t think any one of them has a word to describe this sacred place. My eldest daughter, Celia, stand on the Defender 110. 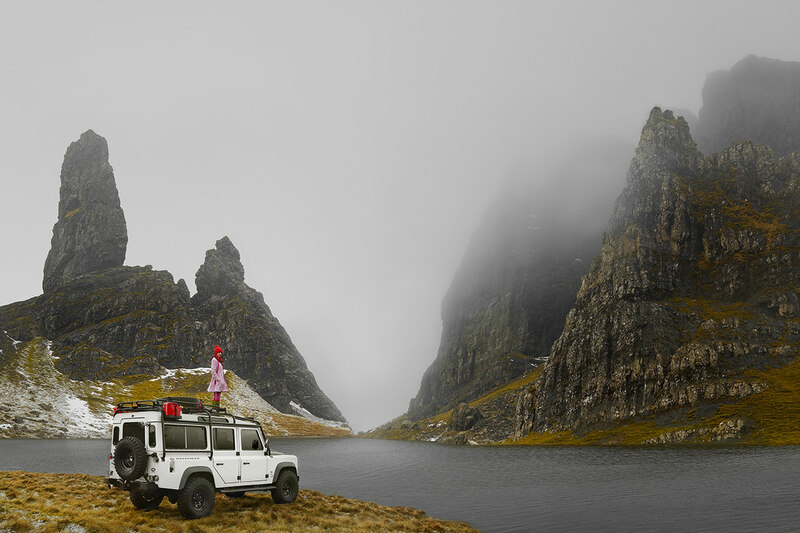 The Land Rover Defender 110 on the Isle of Skye, Scotland.